A Iar-Uachtarán, Oifigigh an Chomhairle, oifigigheile agus a dhaoine uaisle. 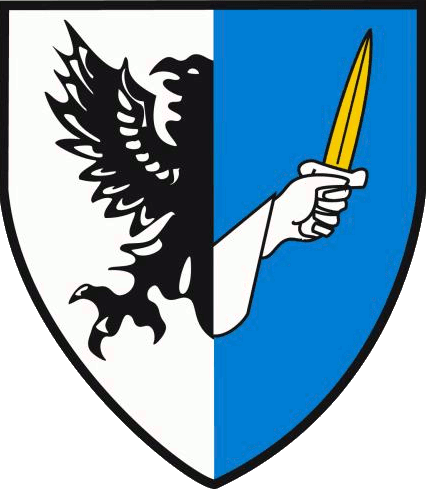 Ba mhaith liom fáilte a fhearradh romhaibh go Comhdháil Bhliantúil Comhairle Chonnacht anocht. Following my first year as Uachtarán Comhairle Chonnacht it is a great honour for me to address our Annual Convention. Convention is a time to review the year gone by, and to plan for the challenges that lie ahead in 2019. 2018 will be remembered as the year that hurling outclassed football in the popularity stakes, and the decreasing numbers attending our football games is testimony to that. The reason for the falling numbers is that the standard and quality of our football games has lost favour with the general GAA supporters. On saying that I am glad to state that Connacht has bucked the trend with more people attending our games and an increase in gate receipts. That’s a tribute to the quality of the game in the province. The GAA have moved to halt the slide in attendance, by introducing five new rules which they hoped would improve the entertainment value and retain spectator numbers. I’m very disappointed that Central Council last Saturday voted to lift the restriction on the hand pass. This I believe was poor judgement and no doubt it was influenced by the GPA and the number of team managers voicing their criticism. It goes to show the influence that the GPA and the County Team Managers have on our association. This influence is a serious source of concern and something that demands our attention. Just because the rule inhibited the Managers well-rehearsed game plans, they decided the rule must be discarded rather than change their plans, the very same plans that have ruined our game. We also had the Super 8’s, of which I’m not convinced, and the Newbridge-or-nowhere saga which did little for the image of the GAA. 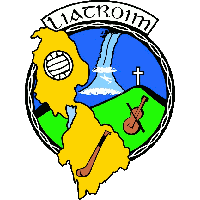 In Connacht we had many highlights the foremost among which was the performance of Corofin in the AIB All Ireland Club Championship and in particular their performance in the All-Ireland final in Croke Park on St Patrick’s day. They are still on course for back to back final appearances and I wish them well. I also include the Minor hurlers of Galway who won the All Ireland Minor Hurling Championship. 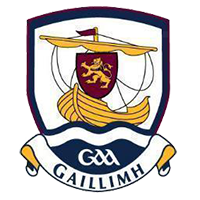 The teams from the Province continue to perform well on the National platform, with Galway Hurlers within a whisker of winning their second All Ireland, Galway footballers at Senior and Minor who fell short in the final stages of the Allianz National Football League and the All Ireland Minor Football Championship. To the history making Carrick hurlers I say heartiest congratulation on your historic Connacht success. The Kilkenny hurlers playing in the Leinster championship at a Connacht venue was also a history making event. The performances of all our County teams is something we are all very proud. The highlight of Connacht activities was the hosting of Feile na nGael here in the Connacht GAA Centre of Excellence. The volume of work that went into organising the event was enormous, and there is no doubt the end product certainly made it all worthwhile. I pay tribute to the hard working committee under the chairmanship of John Hopkins, Secretary Michael O’ Connor, the work of the various sub committees, and indeed the staff at the Centre of Excellence, for their diligence and hard graft to ensure that the event would be a success. The spectacle of the event in full swing on the final day was something to behold. This year we look forward to hosting Feile Peil na nÓg and no doubt we can look forward to an even bigger event and another outstanding success. I welcome the setting up by the Uachtaran CLG John Horan of the National Club Committee under the Chairmanship of our own former Uachtarán Comhairle Chonnacht Mick Rock. We have been accused of paying lip service to the grassroots of the Association, the Clubs, but I believe that this initiative in a very positive step in the right direction. We cannot fix the problem until we know what it is, and the first piece of work by this committee gives us a detailed insight to the problems as seen by the clubs themselves. The first piece of work by this committee, The National Club Survey Report outlines clearly the problems facing our Clubs. If we are serious about the future of our GAA Clubs we must act on the findings of this report. I look forward to the Committee’s recommendations. Contrary to public opinion, fixtures are not seen by our clubs as one of the greatest challenges facing them. According to the survey the greatest challenge facing the GAA Clubs in Connacht is the actual demographics and the decrease in playing numbers. In Connacht 31% of respondents stated that Demographics are the greatest challenge while 6% said fixtures. Present planning restriction which forbids our young people from building on their family farm is forcing our young people to move to the nearby towns and depriving our rural clubs of having young families growing up in their communities and potential footballers are lost to their native parishes. This is a serious matter and one that should be taken up with the respective local authorities. While fixtures have been quoted as the greatest problem, and numerous calls have been made to Croke Park to sort the fixture problem. Croke Park cannot sort out the fixture problems that exist in every County, as there is no template that suits all. While some tweaking has been made to the National fixture plan which would help Counties with their fixture scheduling, it is up to each County to put a proper and workable plan in place in each County. I appeal to each County to evaluate their fixture schedule and put a calendar of fixtures that is suitable to the needs of the County and one that can be implemented in the time available. The motions on the Clár tonight relate to fixtures and fixture planning and hopefully this will assist Counties in solving the fixture problems. There seems to be a huge appetite for more games but I’m not convinced that the inclusion of more games has done anything to improve the standard of the games in our Counties. Finance is in the top 3 of the greatest challenges facing our Clubs and while it has always been a challenge, the future financing of our clubs will only increase as rural Ireland is brought to a halt, and the weekly income gathered on the Club lotto on the Saturday night in the local pub is fast diminishing. As finances get harder to generate there is greater onus on clubs to use the finances more wisely, and no doubt Clubs will have to look at and possibly abandon the costly practice of spending lavish expenditure on team management. with the penalty for any breaches to be removal from the register. 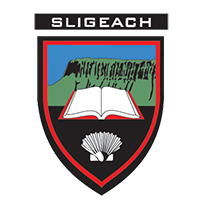 The present situation at County level, as was clearly pointed out in the E.S.R.I report on Playing Senior Inter County Gaelic Games which indicated that 46% of Senior Inter County Footballers agreed that too much effort was being demanded of them as players, while 36% somewhat agreed, which in total 82% of our senior intercounty players clearly stating that they were being pushed too hard. This is the reason top quality players are walking away from our games in Counties that can ill afford to lose players. The Club Managers appointment ‘Merry Go Round’ is now in full swing, but starts earlier in recent times, and once appointments are made, the till starts clicking. 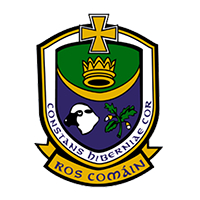 Realising the need to assist and provide information and support for the clubs of the province, Personnel from Connacht Council visited each County and held information seminars, providing information on a host of relevant topics. This proved very successful and is an initiative that will continue in 2019. There is, I believe, a great need for continuous officer training to assist our club officers in the many different tasks they encounter doing their jobs. Governance will always be an issue for the GAA at both Club and County level, and I urge club and County officers to apply due diligence to the running of their affairs. With the huge increase in the annual budgets required to administer the activities of both Clubs and County Committee’s, finance is always the main area of concern. However there are many other areas of concern in relation to policies and procedures, in the running of a GAA Committee’s that require constant attention. The format for the future All Ireland Football competition came up for discussion in 2018 and it would appear that there is an appetite to consider a two tier competition. While I’m not convinced that a two tier competition is sufficient, it would certainly be a starting point. If we were to introduce a two tier competition it must be introduced as a second option, immediately following a team’s elimination from the Provincial Championship. An introduction following the qualifier would be a disaster and would bring us back to the doomed Tommy Murphy Cup. FUTURE DEVELOPMENT AT CENTRE OF EXCELLENCE. 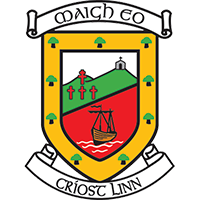 The announcement by Minister Michael Ring of € 2.1 million from the Rural Regeneration and Development Fund Scheme for the future development of an indoor GAA pitch was a huge boost for the development of facilities here at the Connacht GAA Centre of Excellence. This funding will now make it possible to proceed with this development and when completed we will have the finest GAA facility in Ireland and something all of Connacht should be proud of. Further developments are also on the way. The development of the Connacht facilities in the last few years has been phenomenal. From an address at Knock Rd Ballyhaunis, to the office on Claremorris Rd Ballyhaunis, to the present facilities here at Bekan with an indoor pitch, all of this progression and development has been led by one man. 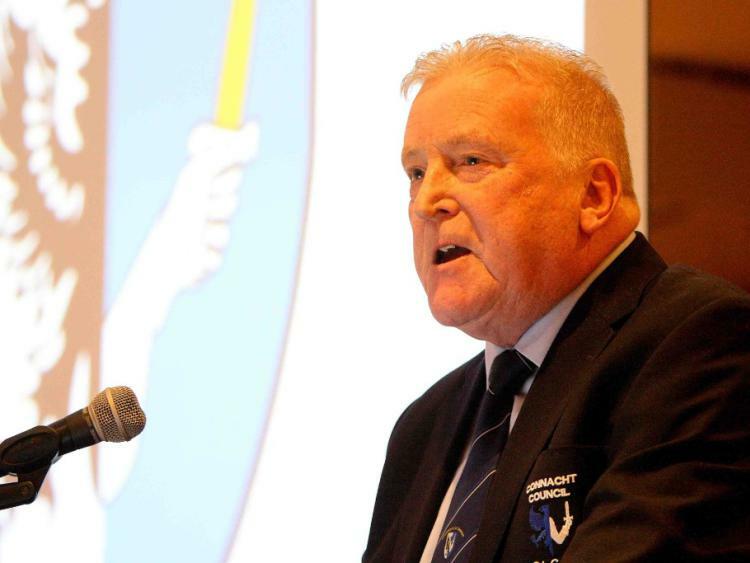 The man in question is Provincial Council Secretary John Prenty who with the support of various Provincial Council Management teams, and Council delegates have provided the present and future generation of Connacht players with the best GAA training and playing campus in this Country. Another first for Connacht. To John for his vision, leadership, his hard work and dedication we owe a serious debt of gratitude. In 2018 John Tobin retired after many years of dedicated service to development of coaching in Connacht and to the provision of facilities here at the Centre of Excellence. I thank John for his dedication and hard work and wish him well in retirement. We are very fortunate to have a very able replacement in Cathal Cregg to I wish the best in his new role. To all the Committees of the Council who have worked very hard throughout the year, I want to say a very special word of gratitude. To our dedicated delegates who have been extremely supportive of all our initiative throughout the year I say a sincere thank you. To the dedicated staff here at the Centre I say thank you for your hard graft and your dedication the various projects, I sincerely thank you. To Adrian Hassett our Operations Manager who works so hard not only during the week but also on weekends and match days, I say a very special word of thanks for your commitment, and dedication to promoting the work of Connacht GAA. I want to draw your attention to the very elaborate report from our Provincial secretary contained in tonight’s booklet. I ask you to give this report the respect that it deserves and I ask you for some debate on matters raised in the report. An enormous amount of work has gone into it, so it merits debate. To leas Uachtarán John Murphy who eloquently deputised for me quite a bit towards the end of 2018 I say a sincere thank you, to our efficient PRO John Hopkins also I say a sincere thanks. I would like to mark the passing of Former Council Treasurer and Council delegate Jim Meehan and to express the sympathy of the Council to his family. I express sympathy also to the families of the other people who have contributed to the workings of the Council but have recently passed to their eternal reward. Tonight three members of the Council are attending their last Connacht Council meeting. Galway delegate Noel Treacy is leaving us, and I want to thank Noel for his dedicated service to the Connacht Council and his commitment to the Committees on which he served. We valued your experience, and your advice and everything you done was for the betterment of the GAA. Tonight Mick Rock takes his leave of absence having served Connacht Council in many different positions, as delegate, PRO, Leas Uachtarán, and Uachtarán. Mick you have given outstanding service to Connacht Council and you excelled in every role you played. As an orator you were outstanding, and your sense of humour was always a very valuable commodity, as we worked our through the many challenges that faced us. I wish you the best in your future endeavours. Mattie retires following three years as Council Treasurer. I have known Mattie for the last nine years as both of us joined the Council at the same time. Mattie has been a most dedicated treasurer, a man of honesty, and integrity, who always carried out his duties with a smile on his face. We are fortunate to have a man of his calibre in charge of our finances and tonight’s accounts are proof of that. Mattie has been a great friend of all us and we look forward to his company as he continues to work on various committees of the Council. I welcome our new treasurer Martin McCartin from the Drumreilly Club in Co Leitrim. Martin became treasurer of Leitrim Co Board in 2018 and has done a remarkable job. He has introduced many new initiatives and has kept the finances of Leitrim Co Board in top shape. I look forward to working with you Martin into the future. I also want to welcome our new delegate Christy Brown to the Council and I look forward to working with you in the future. To the people who keep us in the lime light, photographer James Molloy, Twitter and Facebook specialist Brían Mangan, I say a sincere thank you. Our publication ‘into the West’ continues to serve us well and hopefully in 2019 we may be able to add some new features to this popular magazine. Finally I want to launch a campaign to ensure that every Club in the province has adequate facilities for people with disabilities at their grounds. I intend to make this a one of my priorities during 2019. Having being incapacitated for some time recently I now more than ever realise the need for such facilities. Finally it has been a great honour for me to serve as your Uachtarán for the last year and to everybody that I worked with I thank you for your patience, and support during the year and I look forward to working with you in 2019. Go raibh mile mhaith agat.